Driving is a privilege that the State has a right to regulate. If you violate any state’s driving laws, your driver’s license may be suspended or revoked. Are All Drivers Required To Have Car Insurance? Yes. Virtually every owner of a motor vehicle is required to have liability insurance in a minimum amount as specified by your state (typically at least $15,000.00-$25,000.00 for bodily injury to, or death of, one person in any one accident, at least $30,000.00-$50,000.00 for bodily injury to, or death of, two or more persons in any one accident, and at least $10,000.00-$20,000.00 for injury to, or destruction of, property of others in any one accident). You can check with a local insurance agent to determine the minimum limits in your state. Each driver must also carry proof of the required liability insurance in the motor vehicle. What Is The Legal Drinking Age In Your State? In most states you must be at least 21 years of age to legally purchase, possess, or consume alcoholic beverages, including beer and liquor. What Are The Penalties For Violating Drinking Laws (DUI)? The penalties for the first offense of violating drinking and driving laws is a misdemeanor and typically include a fine of at least $400.00 and up to $1,000.00; imprisonment in the county jail for at least two days and up to six months (or at least 96 hours of community service); loss of your driver’s license for at least 90 days and up to two years; mandatory attendance at DUI school (the average cost is $165.00 for tuition); and a possible requirement that you attend an alcohol and/or substance abuse treatment program at your own expense. In addition, the DMV will suspend your driver’s license upon your arrest. In order to get your license back after both this suspension and the court-imposed suspension and sentence, you will be required to pay a $65.00 driver’s license reinstatement fee; pay a $35.00 Victims Compensation Civil penalty; pay a $21.75 driver’s license application fee; retake the vision and written tests (and possibly also the skills test); and have your insurance company file an SR-22 certificate with the DMV for three years. Requesting the required SR-22 certificate from your insurance company will usually result in your premiums doubling or tripling for those three years. Some insurance companies do not provide SR-22 certificates and will drop you altogether. The above penalties relate to a first offense violation only; consequences are more serious for subsequent offenses. Can I Be Arrested For Drinking In Public, Even If I Am Over 21 Years Of Age? Yes. Most cities and towns have enacted local ordinances which forbid such conduct. Penalties include imprisonment, a fine, and/or community service. What Is Open Container Law? Open Container Laws forbid anyone from driving a vehicle with open alcoholic beverages anywhere in the vehicle. These laws are separate and apart from drunk driving laws. DUI means Driving Under the Influence of alcohol or drugs (whether prescription or illegal drugs). Depending on your state, it is illegal to drive at or above the 0.08% Blood Alcohol Concentration (BAC) limit (0.04% BAC for commercial license holders and 0.02% for drivers under the age of 21). You can also violate the DUI laws if a blood or breath sample within two hours of driving is at or above the 0.08% BAC limit (0.04% BAC or 0.02% BAC) – unless you can prove that you consumed the alcohol AFTER driving. Can I be cited for a DUI with less than the 0.08% Blood Alcohol Concentration limit? Yes, the general rule is that you may be arrested for driving under the influence if it can be shown you were driving while influenced by alcohol “to a degree which renders you incapable of safely driving or being in actual physical control” of a vehicle, even if your blood alcohol level is less than 0.08% BAC (0.04% or 0.02% BAC). The police officer may request that you submit to a preliminary breath test and then a follow-up breath, blood, or urine test. If you refuse to submit to the tests, the police officer may generally seize your driver’s license on the spot, arrest you, and may use reasonable force necessary to obtain a blood sample from you. If I Am Arrested For DUI, Do I Have The Right To Speak With My Attorney Before I Submit To A Test For Alcohol Or Controlled Substances? No. This does not constitute a custodial interrogation, so your Miranda rights do not apply here. The Implied Consent Law requires you to submit to the BAC test when requested by a police officer. Getting into the vehicle while under the influence of alcohol or drugs already “implies” your consent to be tested. If you refuse to cooperate, the police can use reasonable force against you and can arrest you immediately. What If I’m Just Asleep in the Car When an Officer Arrives? You may be arrested for a DUI if it is determined that you are in actual physical control of a vehicle while under the influence of drugs or alcohol. Actual physical control is determined in many ways, but includes: 1) having the keys in your possession; or, 2) being behind the wheel or having driven the car to its present location. The penalty for driving under the influence and being in actual physical control are the same. Should I Contact an Attorney If I’m Arrested for a DUI? You generally must have an attorney if: 1) the prosecutor is recommending imprisonment; 2) if the arrest will be your second or third DUI conviction; or, 3) if you are being charged with a felony DUI. 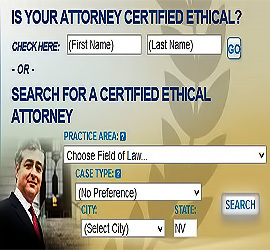 If you cannot afford an attorney, one will be appointed for you by the Court. A felony DUI is typically, 1) any accident which results in death or “substantial bodily harm” to another person; or 2) a third DUI conviction within seven years (including a conviction from another state). What Penalty Can I Expect If Convicted of a Felony DUI? You will likely be fined from $2000-$5000 and serve between 2-20 years in prison. Are DUI Convictions from Other Jurisdictions Counted by the Courts as Prior Convictions? Yes. A DUI conviction from any state within seven years of the current DUI case will count as a prior conviction. If I’m Arrested for a DUI, Will I Go to Jail? Yes, you will usually be transported to the nearest facility for blood alcohol testing. You will then generally have the opportunity to post bail for your release. 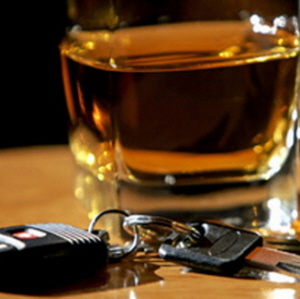 Will I Lose My License for a DUI Conviction? The first offense will result in a 90 days revocation of your license, with that period increased to one year for your second conviction. Your third DUI offense will result in a loss of your license for three years. Upon the first offense only, you may generally appeal the revocation of your driver’s license through a hearing, and you can sometimes request a temporary license enabling you to drive to work after half of the revocation period has expired. To receive this “work license” may also require a Breath Ignition Interlock Device to be installed in your vehicle. Driving with a revoked license will generally result in a penalty of 30 days in jail or 60 days house arrest and a $500-$1000 fine. Additionally, your license can be revoked for an additional period of time. After your revocation period has expired, you must reapply for your license through the DMV (including all tests and fees) and you will generally be required to carry a special insurance policy following your offense.